Die cut stickers are a way for your brand to be seen almost anywhere. Choose between a selection of matte, glossy, and UV-coated stocks in different grades and materials for both indoor and outdoor applications. Choose from an array of standard shapes or select custom die cut shapes and sizes. Die cut sticker printing is available in custom shapes and sizes as well. Add personality to product packaging and personal items with die cut stickers. Print die cut stickers for branding, marketing and promotion, or labeling. They may also be used for giveaways as well as warning and instruction labels. 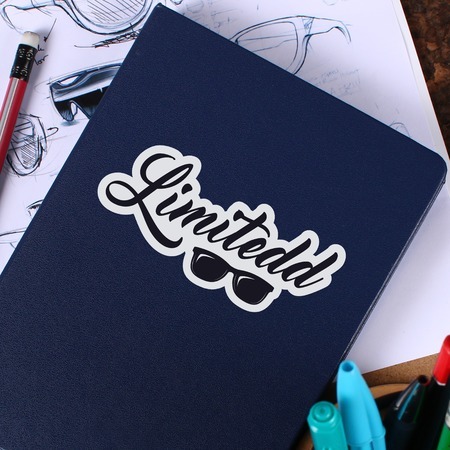 All stickers are printed in vibrant full color and are proofed manually, ensuring high quality prints that closely match exactly what you design. Our line-cutting services allow precisely-trimmed stickers with no cutting errors -- to your specifications -- even when ordering non-standard custom shape stickers. Having your own custom-cut stickers has never been this simple. Learn more about which die cut sticker printing options work best for your needs by contacting a representative.